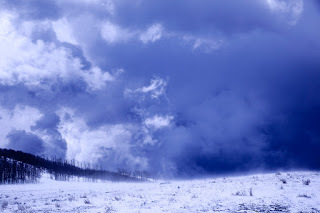 Approaching Bryce Canyon nearly four years back we encountered a blowing snowstorm with temps in the twenties. Today’s entry befits the gusting winds and 7 inches of fresh snow that greeted us when we awoke to this (Sunday) morning. Yes, I write these posts on Sunday and they publish at 3am every Monday morning. I hope you had a warm and wonderful Christmas. Wild and wonderful! A good catch, Steve, and it definitely reflects the feeling we had yesterday. Thanks for posting it. Happy New Year! We look forward to the results of your language study and creative juices that follow.